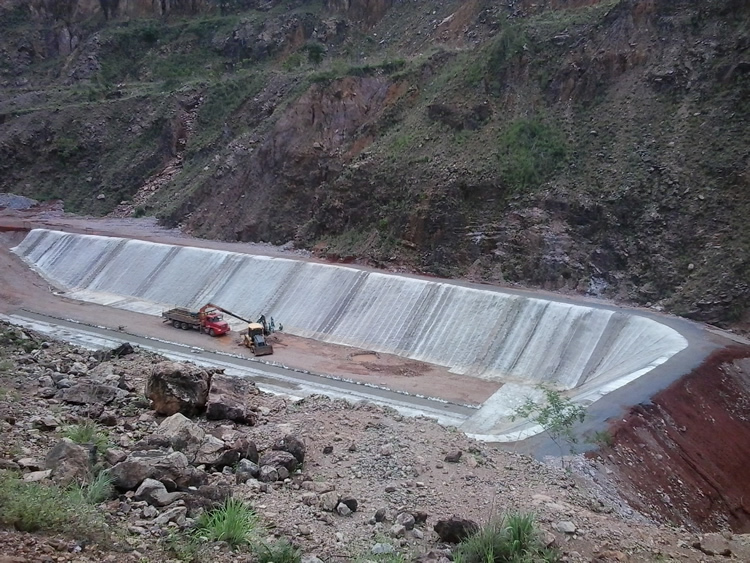 geosynthetica.net 19 April 2016: In October 2015, a Concrete Canvas® GCCM (Geosynthetic Cementitious Composite Mat) composite barrier was used to line a newly constructed drainage lagoon at Votorantim Metais Zinco mine in Vazante, Minas Gerais, Brazil. The site needed to transport alkaline mine water through a series of drainage ditches—also to be lined—to the lagoon where the water would be treated. 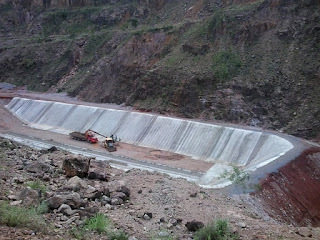 Sites like this had used concrete-based solutions in the past; but, with the rainy season having already begun, a solution such as shotcrete was not possible. The specification of a geosynthetic-concrete composite barrier system gave the site operators a strong lining system that could be...read more.